The purpose of this course is to develop an appreciation of film through the study of the fundamentals and aesthetics of this medium. You will learn the ABC’s of film language, which will allow you to better, understand and analyze movies by deciphering their symbolic and inferred meanings. The course will cover all the basic elements of film including cinematography, mise en scene, montage, sound, and narrative structure. The lectures will include scenes from various film classics, which have shaped the history of cinema. 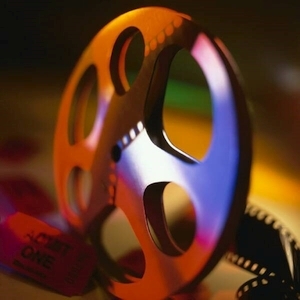 This course will help you to watch movies more critically, to observe and appreciate cinematic subtleties, and develop a more profound appreciation of the art of the film. Sumaya Kubeisy studied Communication Arts at the Lebanese American University and received her Masters in Film Production at Boston University. She was later an instructor of Television and Film at the Lebanese American University in Beirut for 4 years. She worked in television production with various TV stations for over ten years as a director and producer and headed the production department at Future Television in Lebanon from 1995- 1999, when she left the professional life to become a full time mother. Most recently, she worked with Dubai TV as a consultant to the team responsible for restructuring and modernizing the channel, and is currently a part time professor of television AUD.